Average costs-per-month for this provider are approximately $13,096. This is above the Penn Yan estimate of $11,254. While the national estimated cost is around $6,360, New York is around $10,200 per month. 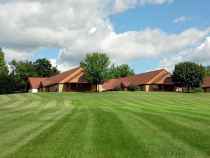 Penn Yan Manor Nursing Home is a senior care residence located in Penn Yan, New York. The area encompassing this community has an average population density, including approximately 12,820 residents in the 14527 zip code. It is a largely middle income area, with an average family income of $46,598. This residence is centrally located, with shopping, healthcare facilities, and worship services all in a close distance. 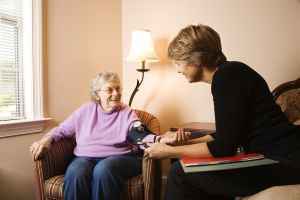 Penn Yan Manor Nursing Home offers nursing home care. They can care for people who need a higher degree of attention and round-the-clock medical care. This community has many amenities and services available to their clients. For example, they provide many different facility features such as a hair salon, an outdoor garden, and a community dining room. In addition, they have different room features that include in-suite kitchenettes and safety and handicap fixtures. Finally, they have different medical services like nurses on site. Penn Yan Manor Nursing Home has served the community since 1976 and they're licensed with Medicaid and Medicare. They received a total score of 2 / 5 stars in the latest rating by Medicare. This rating was based on a collective criterion of all-around quality, personnel evaluations, and safety evaluations. During that period they have had the following: no total penalties levied, no fines levied, 5 deficiencies recorded, no payment denials, and no complaints reported.